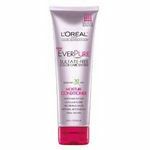 I first tried this Herbal Essences Break's over strengthening leave-in conditioning cream a few months back when my mom went through all of her old hair products she didn't want. I see why she gave me this one, my hair felt awful after using it. I did not use a whole lot of it (about a dab the size of a penny) and I did avoid applying it to my scalp, which usually accumulates a lot of extra oil. This cream did smell very good, I just did not like the effects that it had on my hair. My hair is pretty thin and flat as it is, this product only made it worse. The only good thing my hair gained from using this product was that It had a lot of moisturizer that day, and it tamed my frizzy little fly aways. Other than that, I didn't like it, and I would never buy it. Effectiveness I didn't find this leave-in conditioning cream to be very effective on my hair. My hair wasn't really smooth, it was more on the greasy side. This product is not for me. Scent It does have a very nice smell to it, very clean and pretty. 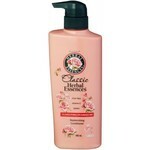 I love using this Herbal Essences breaks over strengthening leave in creme. I remember always using it everytime I would lighten my hair. It smells amazing and it leaves my hair feeling soft after. I only use a little dime size amount and I work it through my ends oily. I don't recommend it going on the scalp because it will make your scalp oily. 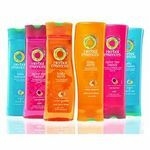 It was perfect for the ends of my hair because they were so dry and brittle. This product gave it a lot of moisture and it made my hair less frizzy. I only applied this to my hair twice a week. This creme was a little thick and had a very nice scent that made my hair smell good for the rest of the day. My hair was a lot healthier and it was really smooth. I like how my hairs a lot more manageable to style. I can't find this product in stores anymore so I have to buy it online now that's the only thing I dislike about it. I recommend this to anybody who has hair that is dry or if your hair is damaged. I can honestly say this will bring your hair back to life. I've tried many leave in conditioners, and found this one to be one of the best for my hair type. I have fairly thick wavy hair that is hard to comb through when wet. But with this creme I am able to easily comb my hair after a shower. 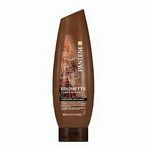 It also makes my hair feel softer and it looks smoother. I also have to mention that I love the scent, it's got a nice light fragrance. I don't have a problem with the product weighing my hair down, but I can see how it would make other hair types look flat due to the fact that it is a creme and can be heavy. Not only do I have the Leave-In Conditoner, I have the shampoo and conditoner also. To tell you the truth I really havent noticed a change in my hair for strength wise. My ends are still bad. But Its a great conditioner for after the shower. It keeps my hair from frizzing.